Keep your tea warm for longer with this delightful teapot. Fabricated from cast iron, this teapot heats evenly and retains heat well. The inside is lined with porcelain enamel to prevent rusting. Furthermore, the teapot includes a stainless steel infuser so you can remove the leaves after steeping. A matching trivet is included so your counters won't get burned from the heat of the teapot. 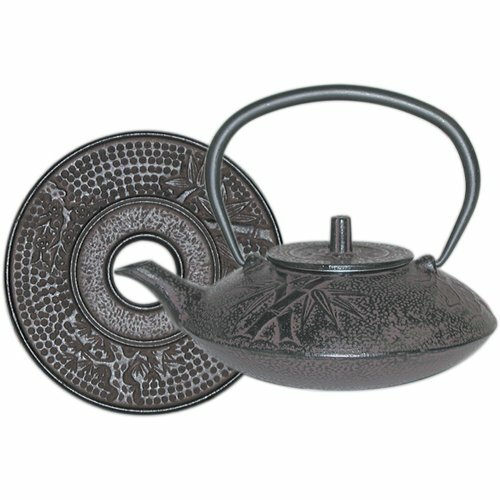 This teapot with trivet is the perfect addition to any tea lover's kitchen. If you have any questions about this product by BigKitchen, contact us by completing and submitting the form below. If you are looking for a specif part number, please include it with your message.